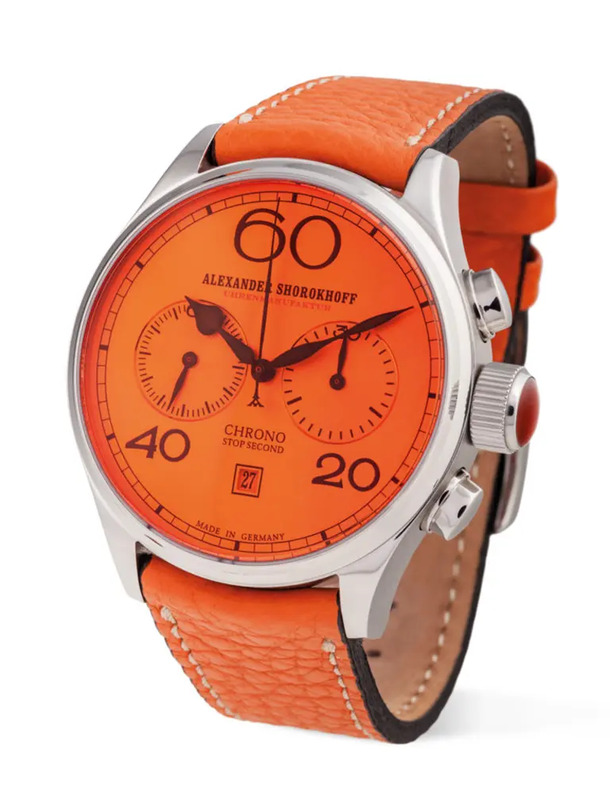 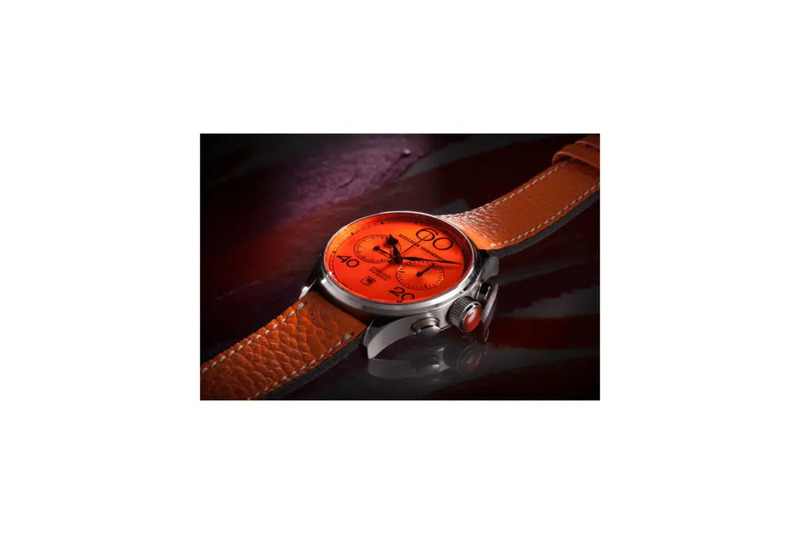 At the manufactory Mr. Shorokhov experimented with different materials and components in order to create a warm and powerful facet of the red colour for his watches. 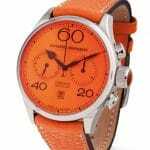 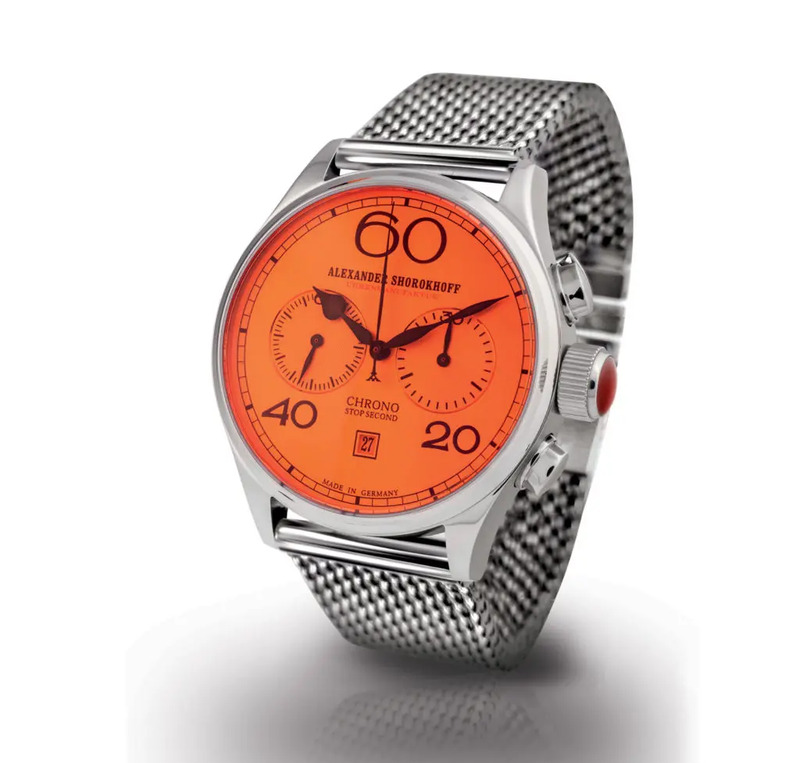 Orange glass, a material not commonly used for watches, catches atention from the first second and radiates warmth, leaving viewers astonished. 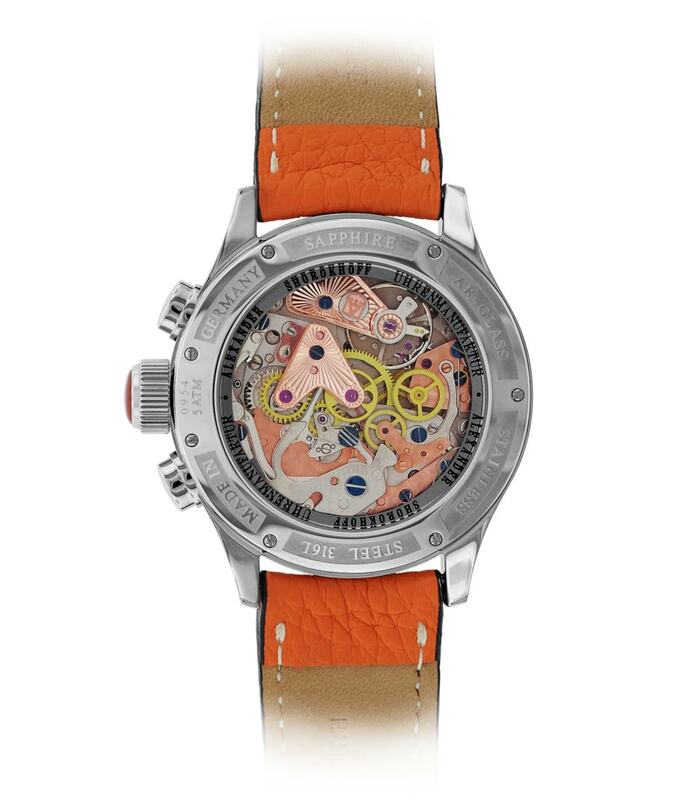 The final detail that gives the watch its freshness of lively colours is the genuine agate at the winding crown.